So we are way behind in our monthly posts in this ongoing photo series, we have been a little hectic with other projects and have been traveling a bit over the summer months. 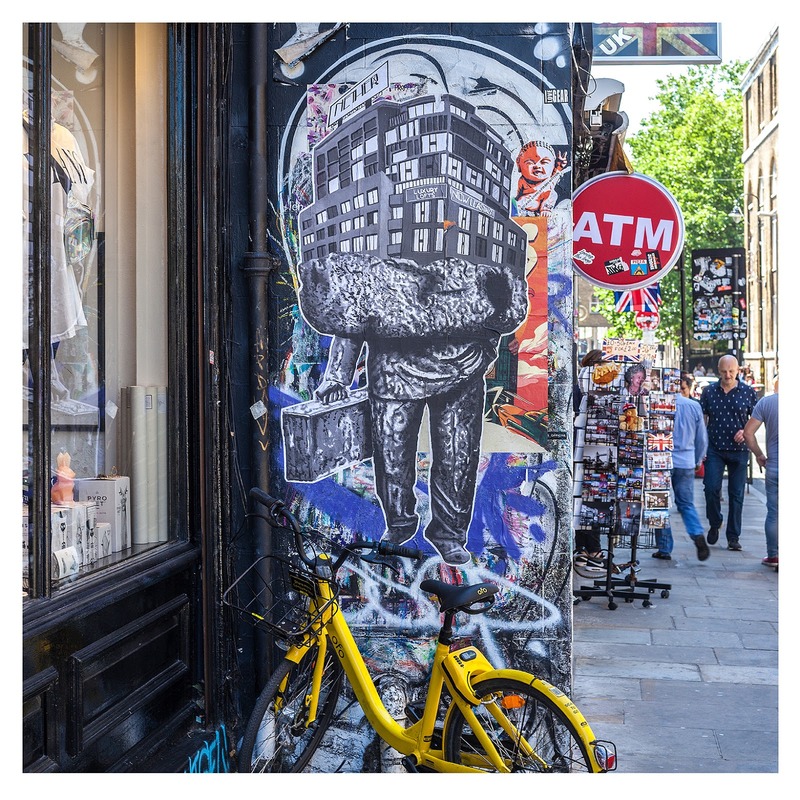 But for those of you who have been following our street art series since the start of the year, here it finally is our July selection of photographs from our Hookedblog Instagram. 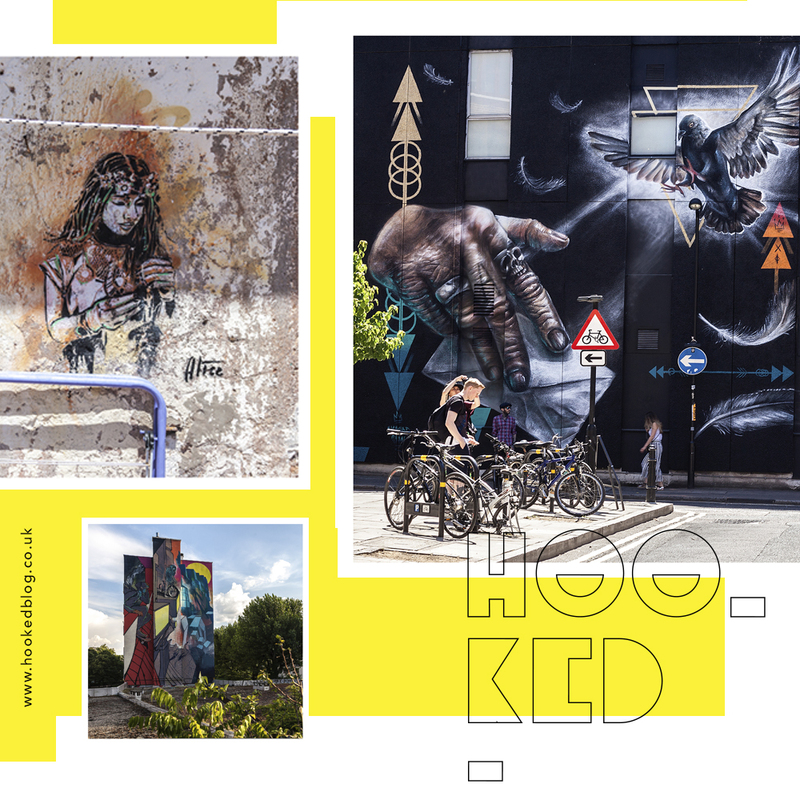 This month's selection features works from artists Will Barras, Nether410, Captain Kris / The Real Dill + Dahkoh, Alice Pasquini (Previously on Hookedblog) and The Nomad Clan. This fantastic collaborative mural was painted next to the Nomadic Community Gardens just off East London's Brick Lane. Painted by artist Captian Kris, Dahkoh, and The Real Dill as part of the 2018 edition of the London Meetings of Styles Graffiti Festival. It's always refreshing to see street artists using paste-ups going the extra distance to scale their paper-based works up in size. Baltimore-born Nether410 is one such street artists who installed some life-sized works on his recent visit to London. The piece pictured was located on Brick Lane, London. 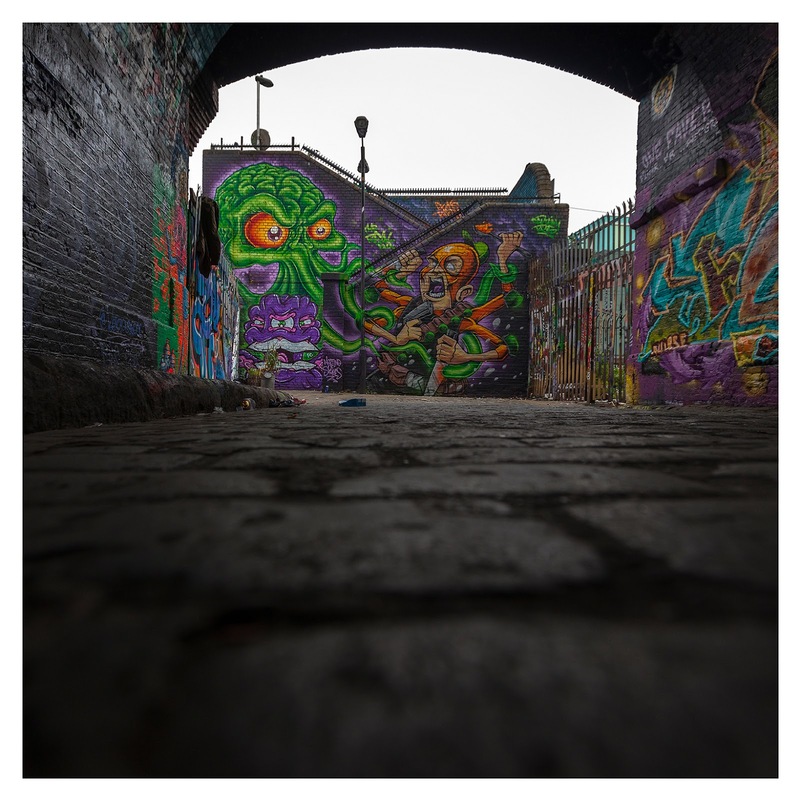 London based artist and illustrator has long been associated with the UK street art scene. We don't see enough of his work at a larger scale and it was a pleasant surprise to find this huge mural from the artist. 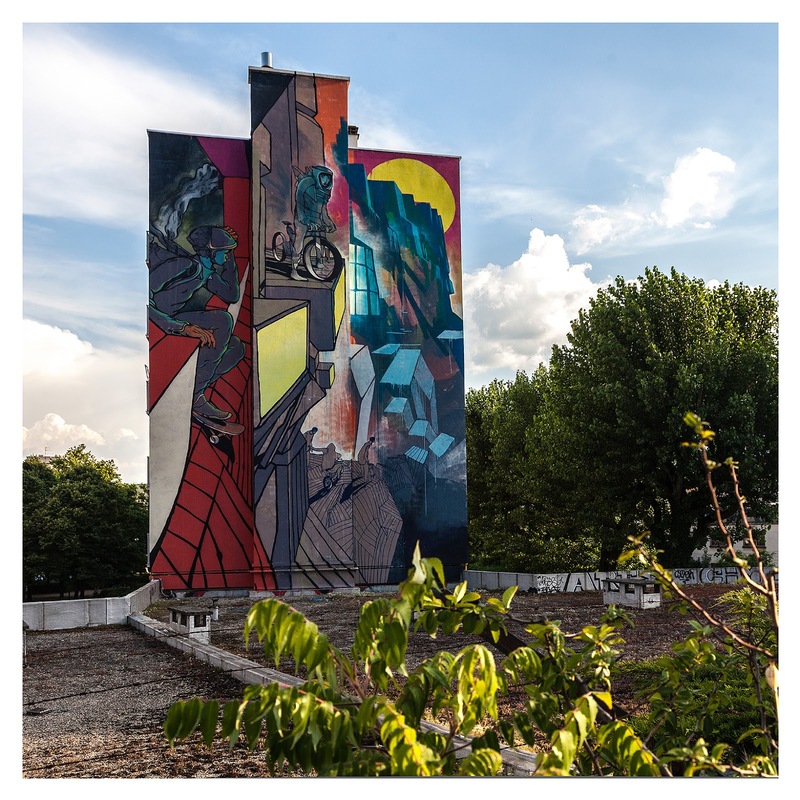 The piece was painted in Grenoble in the South Of France for a previous edition of the Grenoble Street Art Fest that takes place each year in the city. Following a few days spent in the South Of Italy at the CVTA festival in the town of Civitacampomarano we made an all to brief stopover in Rome en route back to London. 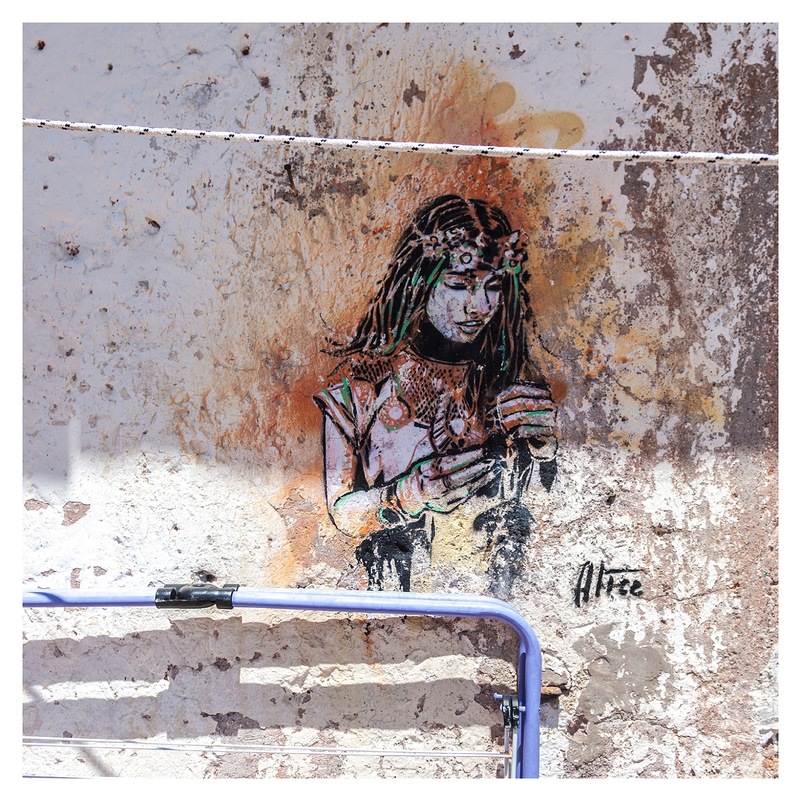 But our short visit was long enough that we managed to capture some of the street art located in the Pigneto included this multi-layered stencil piece by Rome based street artist Alice Pasquini. —Top of our list for this month is this fantastic piece painted in Shoreditch by the Nomad Clan. 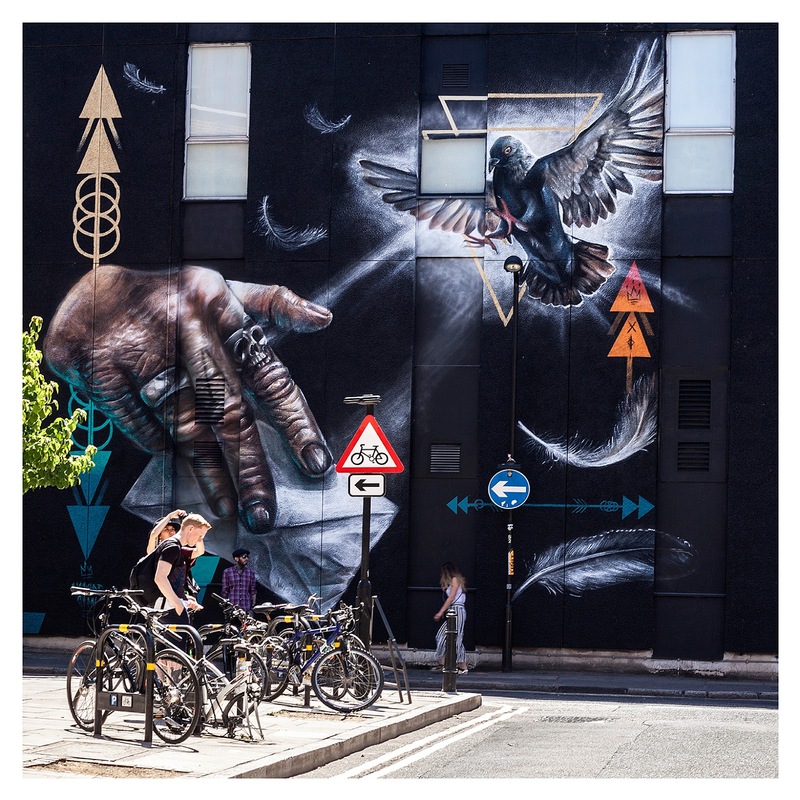 Based in Manchester the street art muralist duo of Cbloxx and AYLO were in London to paint this mural. Their mural is itself a small section of a much larger wall which saw various other artist duo's each paint a section of the building which is now completely covered with work. Working with Global Street Art all the invited artists painted murals around the themes of 'Connectivity Matters' which each mural section linking to the next. Feel free to share with us your favorites photographs from our selection in the comments section below and be sure to make your way over and give us a follow on our Hookedblog Instagram account if you are not doing so already. And don’t forget to show us some love and hit those heart buttons on your favorite pictures and help shape our street art photographic selection next month. Or you could go one step further and help by leaving us a comment on your favorite Instagram image.